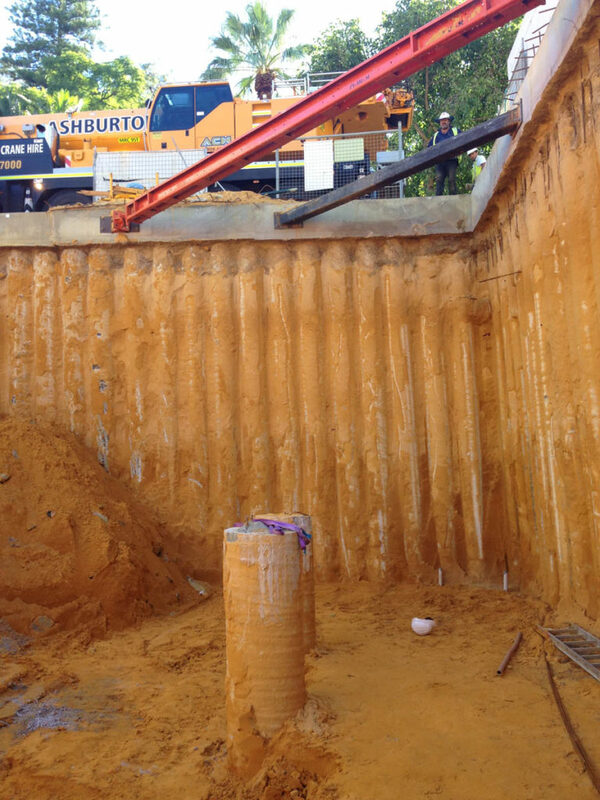 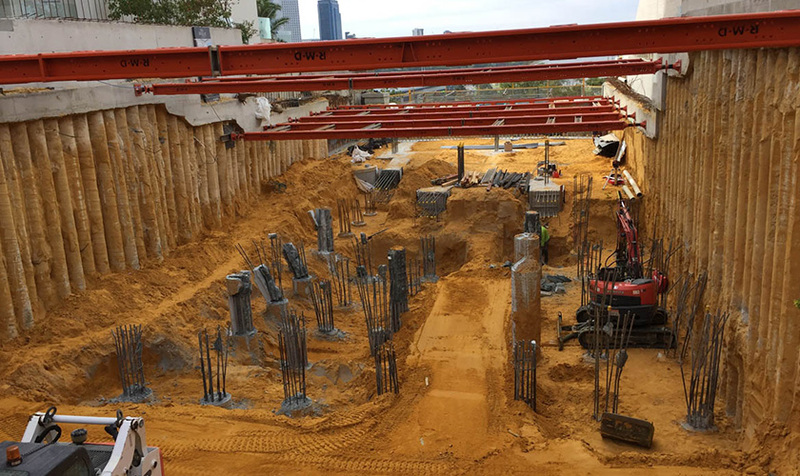 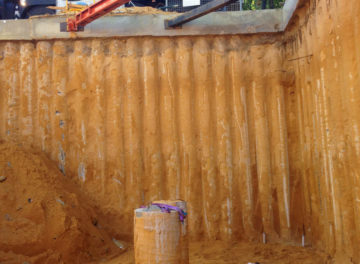 This development involved construction of a 2 level basement on a narrow, sloping block, with a piling scope comprising contiguous piling to boundaries and internal foundation piles. 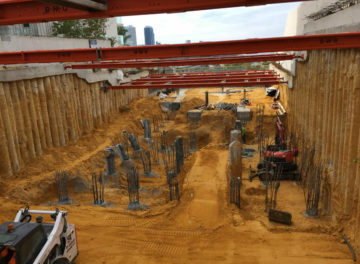 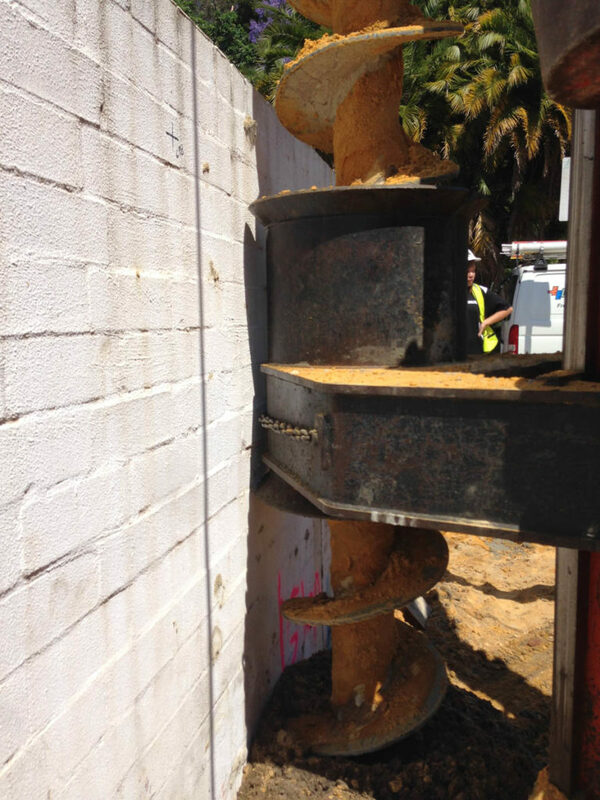 The presence of adjacent basements precluded the use of temporary ground anchors, instead requiring a detailed temporary steel propping arrangement to be developed and managed by Belpile in order to minimise risk of movement induced damage to adjacent structures. 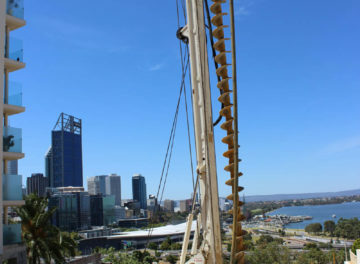 The position of the site at the top of the Kings Park escarpment also required detailed analysis of slope stability/pile interaction issues in both static and earthquake loading scenarios. 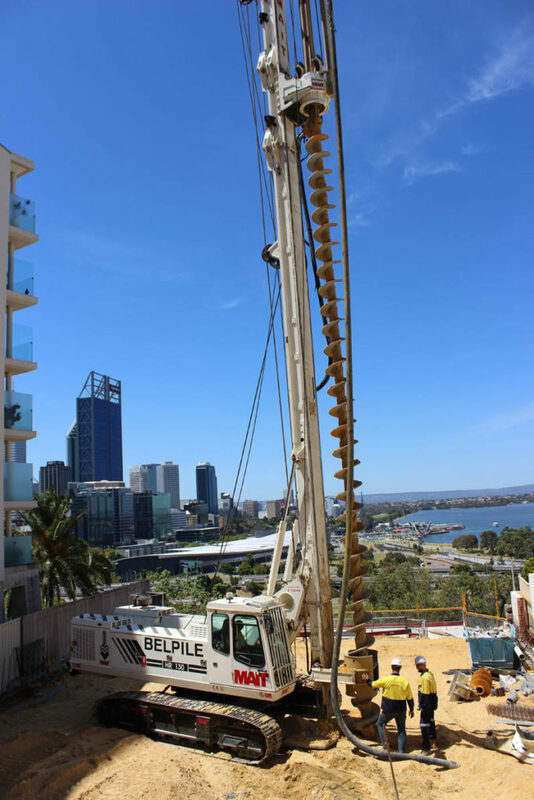 The complexity of design was a key feature in Belpile being awarded this piling package. 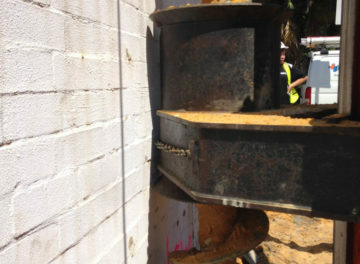 Belpile installed over 250 No. 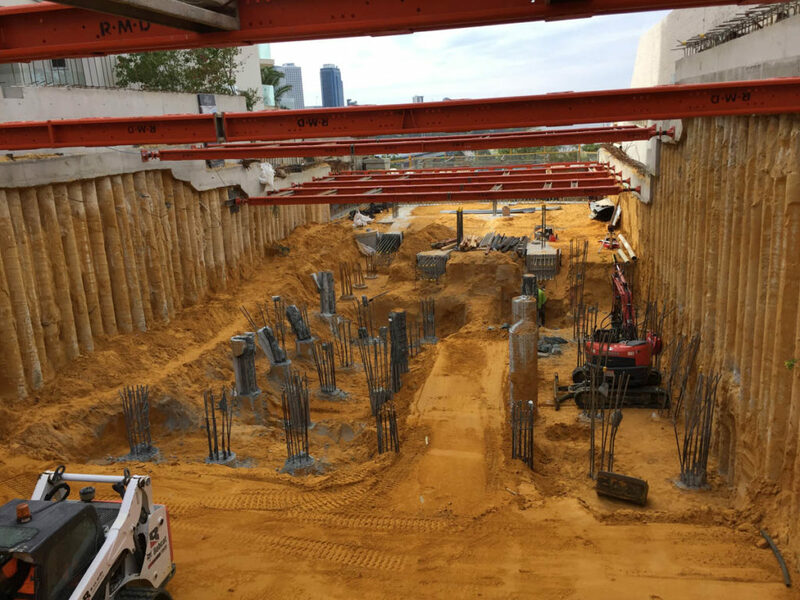 450mm and 600mm diameter piles over 2 stages, utilising light weight equipment with close to wall drilling capabilities for the boundary works and a larger 40t machine to install the deeper internal piles.